Over the past few years during the Hoop Historians travels, the media has taken note of this elite group. 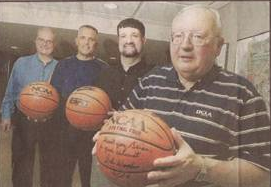 During the 2002 Final Four in Atlanta, the Journal-Constitution newspaper interviewed several Hoop Historians and the below article ran in the April 2, 2002 edition of the paper. The Historians again were featured in 2008, with a front page spread in the sports section of the Daily Herald Newspaper out of suburban Chicago. The article ran on Saturday of the Final Four games -- April 5, 2008. 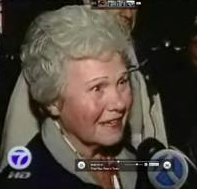 One year later, in 2009, the Hoopsters were spotted walking on the streets of Detroit and were interviewed by WXYZ-TV. The Action News piece became the lead story of the 11:00 p.m. newscast on Thursday night of Final Four Week -- April 5, 2009. 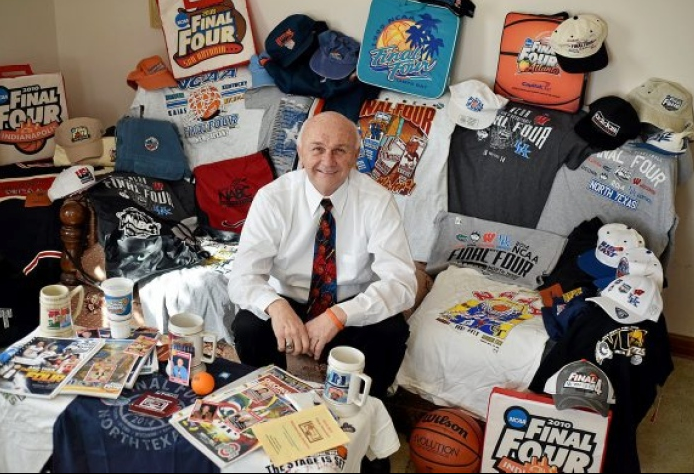 In 2015, a pair of Hoop Historians were interviewed about their past Final Four experiences: Brian Burmeister was interviewed by the Orlando Sentinel for a piece that ran on March 27, 2015 and Dennis Mishko was interviewed and videoed for an April 5, 2015 segment on the Scranton Tribune-Times media group. During the 2016 Final Four weekend, the Houston Chronicle interviewed Hoop Historian Bren Petar and his wife Kitty on the streets of Houston. 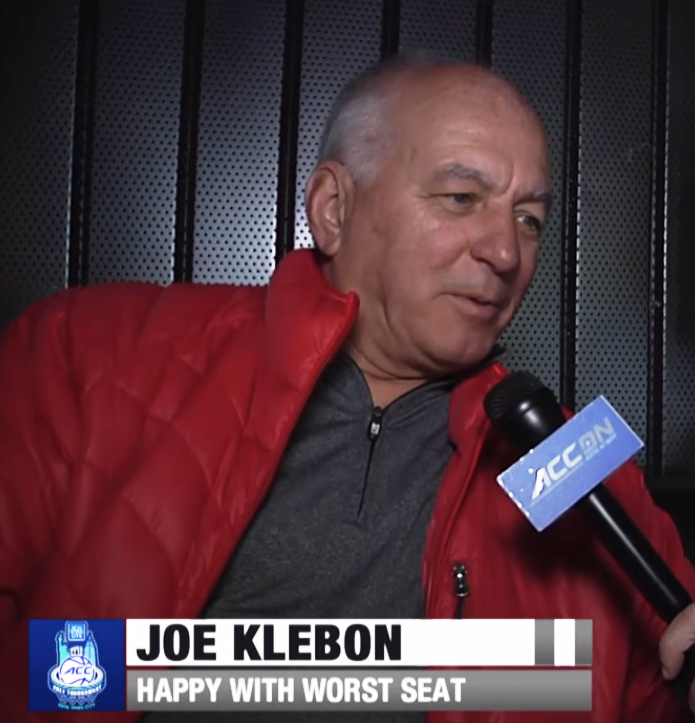 During the 2017 ACC Tournament, Hoop Historian Joe Klebon was video interviewed by the ACC Digital Network.